A selection of Kurt Cobain’s personal items are going up for auction via Julien’s Auctions, and one item sure to draw some interest is the trophy he scored at the 1992 MTV Video Music Awards. 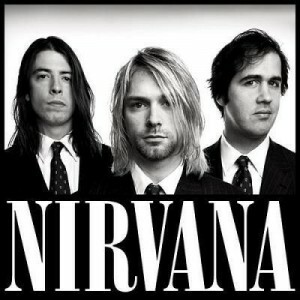 Cobain earned the trophy when Nirvana’s breakout single “Smells Like Teen Spirit” scored the prize for Best New Artist in a Video. It was the same awards show that fans might remember also brought a backstage tiff between members of Guns N’ Roses and Nirvana. Other items up for auction include the cheerleader outfit he wore for a 1994 “Rolling Stone” photo shoot, a Cobain drawing and, yes, Cobain’s Blockbuster card. The auction will also offer items from the Beatles, Bob Dylan, David Bowie, the Rolling Stones, U2, the Jimi Hendrix Experience and Fleetwood Mac, to name a few. The auction will take place Nov. 4 in Los Angeles and happen live online. For information and to bid, head to JuliensLive.com.